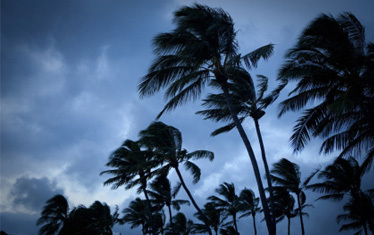 Wind mitigation insurance is something almost every homeowner living in the coastal areas has heard about, especially homeowners living in Florida. In order to save on home insurance in Florida, you need to consider wind mitigation inspection. Most homeowners in Florida get wind mitigation inspections to analyze how well prepared their homes are in case they have to live through harsh weather conditions. Home insurance in Florida has resulted in increased costs because a number of insurance agencies went bankrupt over reimbursing claim and reparation costs that began mounting up throughout the tropical season from 2004 to 2006. What, you may ask, is one way with which you can save on the home insurance in Florida? The answer to that is wind mitigation inspection! Though wind mitigation inspection is not a necessary requirement for claiming home insurance in Florida, it is advisable because in 2006, Florida became the first state to mandate discounts on home insurance costs if a qualified (usually a board-certified contractor, architect or engineer) wind mitigation inspector certifies the home accordingly. A wind mitigation inspector evaluates the property in a way to that the wind mitigating characteristics (ability to withstand storm damage) of the home in question are enhanced and discussed upon in the report. After the final inspection, recommendations and suggestions for further home improvement are given to the homeowners. When insurance agencies receive this report, they are liable to give a discount on the entire insurance policy claim. Generally, home insurance agents in Florida, such as South East Insurance, offer at least 30% discount on the overall claim, i.e. saving you about $100 to $1000 annually. The inspectors looked at the time that had passed since the roof covering was installed and if it passed the building codes of Florida, it was usually approved. The code standards were last updated in 2001 in Florida. Generally, there are two different types of ways roof decking is attached to the underlying structure- nailed or stapled down. The length of the nails used and their spacing will also be noted. The more secure your roof is, the more chances you have for qualifying for a discount. Using nails or hurricane clips, or double/single wraps are all taken into account by the inspector. Usually, a hip roof (shaped like a pyramid) is a better consideration for discounts on home insurance in Florida. A gable styled roof is checked for bracing according to the Florida Building Code Standards. The gable ends more than 48 inches tall have to be braced for reinforcement. The construction materials used in the wall construction are analyzed according to framing reinforcement, outer fascia materials, etc. Plastic sliding and plywood framing are considered lower on the discount scale as compared to steel reinforced concrete homes. If your roof was installed before 2008, then there is a chance that you do not have this feature. This is one of the later additions for roofs and usually a pictorial documentation is required in order to qualify for a discount. In this category, inspectors look for the level of hurricane rated protection on windows, doors and shutters. The greater the hurricane rated protection, greater the chances of availing a discount. Getting a wind-mitigation inspection for discounts on home insurance in Florida needs to be carefully analyzed. You do not want the additional reinforcement costs to outweigh an expensive insurance policy! If you have just started a new Business or have been asked to look after the company’s insurance renewals, business insurance can at first seem a frightening plan. It is almost insecure to run a business without insurance, and in many places it is a legal necessity as well. Business insurance covers liability cases so that a risk you cannot afford like paying someone else’s medical bills is replaced by one that you can afford like monthly or yearly premium. There are basically three types of risk that a business may face in every day operations, these are business property risks, workers’ compensation risks and business liability risks. All business insurance policies contain fundamentals of these three risks either separate or combined under a single policy. If you need cover for business buildings and property contents, you will need business property insurance. If you need cover for the work you do, you will require liability insurance. Workers’ compensation insurance grants monetary awards to employees who are injured or disabled due to job related circumstances. This coverage is often required and may be regulated by state laws. And if you are running a business which depends on internet than your business requires a safety net. You have to safeguard your business against unpredicted incidents that can happen to your online business. While lots of opportunities are available to you online to maximize your business potential, danger still lurks. With the right conclusion, connections and exposure, your online business can batter in seconds. But, with scams, bad business deals, defective products and more, your online business can collapse in just a few clicks as well. And same as any real world businesses, which are well protected by various Business insurances, your online business also requires internet business insurance for more protection. If you live in beautiful Davie and have a business than surely visit Southeast Insurance Agency to purchase affordable quality Business Insurance. Southeast Insurance has been serving Commercial and Business insurance in Davie Florida for over 20 years. It is reputed and famous Insurance Agency in Florida because of delivering reliable services on Business Insurance Davie, Life Insurance Davie Florida and other types of insurance. FR44 Workers Insurance is which meets sure coverage and technical requirements as agreed by law. This rule must be fulfilled and maintained for DUI (Driving under the influence) drivers to stay a valid Florida license. Greater than before limits, treatment fulfilment and a $15.00 fee are compulsory. These accompaniments to a Car insurance policy are related requests other high possibility driver’s knowledge. Unique to a Florida DUI (Driving under the Influence) insurance policy is the high responsibility limits of 100/300/50; ten time the fiscal dependability requisite for drivers exclusive of a DUI (Driving under the influence). The FR44 Workers Insurance is the process used to verify insurance conformity for convict DUI (Driving under the influence). The license is submitted to the Florida department of fiscal liability automatically by the insurance company after rule purchase. This progression is the last step in getting rear a valid Florida allow. First a policy is purchase from a FR44 Workers Insurance company which secure the financial liability case number from the MVR (Motor Vehicle Registry). This is a track number assign to each individual DUI (Driving under the influence). The driver license can be reinstate when the DMV (Department of Motor Vehicles) data base is invigorated indicating your fulfilment and eligibility. Logically, a replacement fee resolve apply. The fulfilment period is for 3 years and insurance company are compulsory to inform the State if a policy is ended for any cause. If The DUI (Driving under the influence) do not change coverage with a new qualified policy then their certify will be incomplete. Replacement occurs only following the process is frequent and additional important replacement fees are paid. The procedure is fast and easy, but treatment can be expensive. Drivers who are not familiar to carrying high limits skill the best increase in Car Insurance premium. 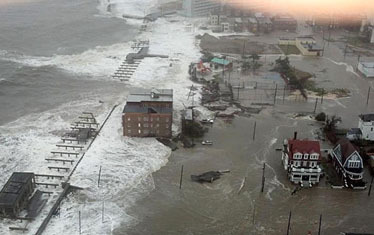 Flood Insurance is often consideration as an oddly costly waste of cash. After all, mainly people will certainly not deal with a flood in their existence, and the quality for coverage is quite costly. At the same time, any point in time a flood is seeing on any locale near water, persons are quick to point out that the losses should have been conscious of the option. Even in these cases, although, those who live in the areas regularly do not have some sort of flood coverage. In adding, why would they? Floods are rare event even area on the run. When it comes to need Flood Insurance may be one of the state that most needs the coverage and is least likely to have it. Few seem to memorize that Davie FL, is, in detail, a coastal state and that the hurricane that do not quite reach the condition can still play mess with the weather conditions. With good Flood Insurance Davie FL people can be secluded from the unlikely, but nowhere near unfeasible, event of a flood in their district. Believe the state’s actual corporeal location – it is bounded by the Hudson stream on one side and the Atlantic sea on the erstwhile. Also, shift in conditions pattern that causes the Hudson to over run its bank or the tide to achieve riskily high levels force lead to flood in the state. And this does not still account for the more general occurrence of flash flooding all through a mainly strong rain storm, or melt off as of an extremely snowy year. There only is no one hundred percent safe area for one to avoid the risk of their home being filled. What few tend to understand is that the cost of repair a flooded welling is more often than not radically more than the premium one would pay for flood insurance. Water has a shifty way of causing chief levels of harm that most discount. It can rot away forest, obliterate electronic devices, and make a great reproduction ground for tricky to meld infestations. Much like pattern Homeowner’s Insurance, Flood Insurance is a protection net against the option of expensive injure. It is true that one can go a complete lifetime exclusive of experience flood conditions, but when the state occurs, flood insurance can be extremely imperative to have. Regular Home Insurance will not cover up the extreme water damage from the flood. Simply ask anybody from New Orleans or Nashville how well their measure policy reimburses them from the huge Flood Damage the city has continued over the past time. Have Flood Insurance may be a large honest cost, but it is not anything compare to the price one may pay if they do not have coverage.